​Call us today to schedule your appointment we can get you on the schedule in a timely manor that works best for you. On our Automotive line we are dedicated to making every vehicle we do look superior. We know you spend the majority of your time in your vehicle and we want to not only make your ride look good but keep you cool going down the road. That is why we use Scorpion film one of the best window tint companies in the state. ​It provides up to 99% protection against harmful UV rays while reducing hot spots and glare. Keeping your vehicles interior in ship shop shape. Prolonged sun exposure through the rear window can ruin your car's interior. 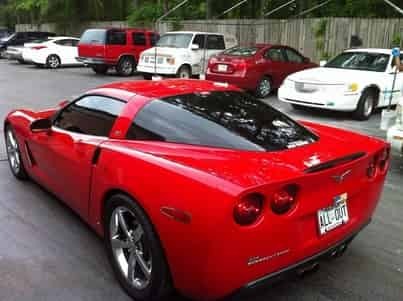 Scorpion film helps preserve your cars value and appearance. It provides a certain amount of protection against flying debris from the wind and keeps your glass intact if your vehicle gets broken into. This means you wont have all those little bitty glass fragments to clean up and can deter people from seeing your personal effects you have in your vehicle. Depending on what you want tinted on your vehicle determines the amount of time we spend on your vehicle this could range from anywhere from 20 minutes to 2 hours. We hand cut all our film so your tint looks flawless! Window tint provides just the right amount of privacy when you are in your vehicle. 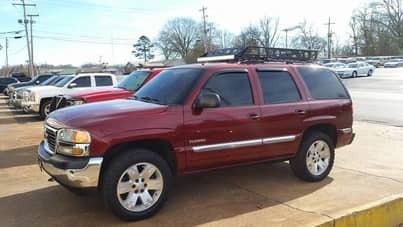 We have different percentages that we use to make your windows lighter or darker depending on the look you are going for while also being mindful of the tint laws in the state of Arkansas. We look forward to making your ride look fantastic!